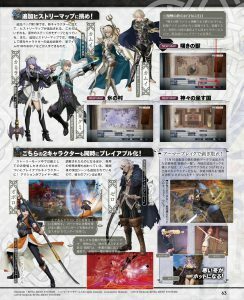 Following from yesterday’s Famitsu preview, we have a few more details about the Fire Emblem Fates DLC pack for Fire Emblem Warriors that releases on 21st December 2017. 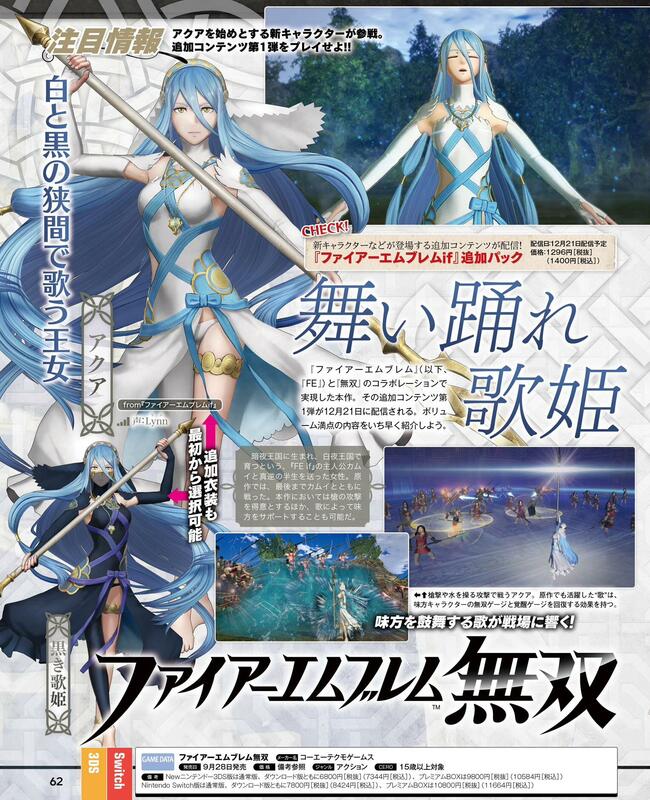 Firstly, Azura’s mysterious songstress costume is unlocked when you get her. 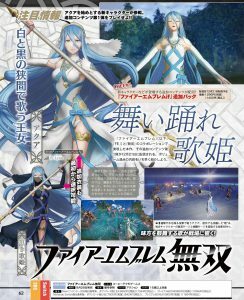 In addition to wielding lances, she can use Sing to restore the Warrior and Awakening gauge of allies. 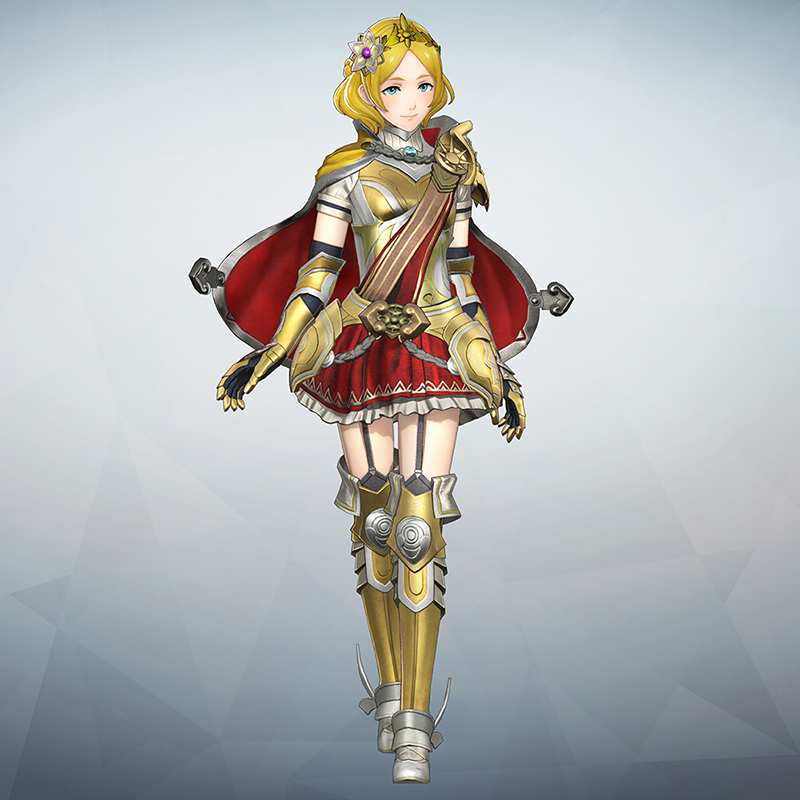 The other four costumes are unlocked by playing the new history maps. Speaking of, the three history maps are loosely based off the Hoshidan capital, the Ice Village and Izumo. One of the new rewards is the “Bond Talisman”, which can be equipped in place of a healing item and increases the rate of gaining support points. In terms of the new characters, Oboro has the Counter skill, which opens up a stun gauge when guarding an enemy attack. 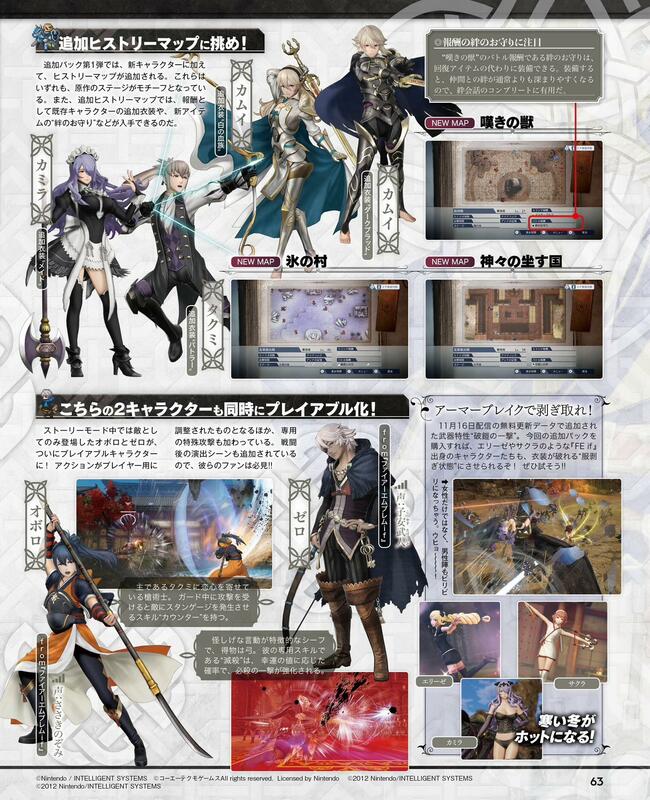 Meanwhile Niles has the Lethality skill, which increases the power of critical hits proportional to the user’s Luck. Update: The free DLC is coming to Europe, North America, etc. on the same day. The Japanese Fire Emblem Warriors website has updated with news about a version 1.2.0 update arriving on 16th November 2017, as well as a free English voice pack (just like we got a free Japanese voice pack). Whereas 1.1.0 merely added the ability to buy DLC and a few quality of life improvements, the new update will include new battles, costumes and gameplay features. To begin with, there will be new costumes for Rowan and Lianna, pictured above, dubbed “Gold Prince” and “Gold Princess” respectively. 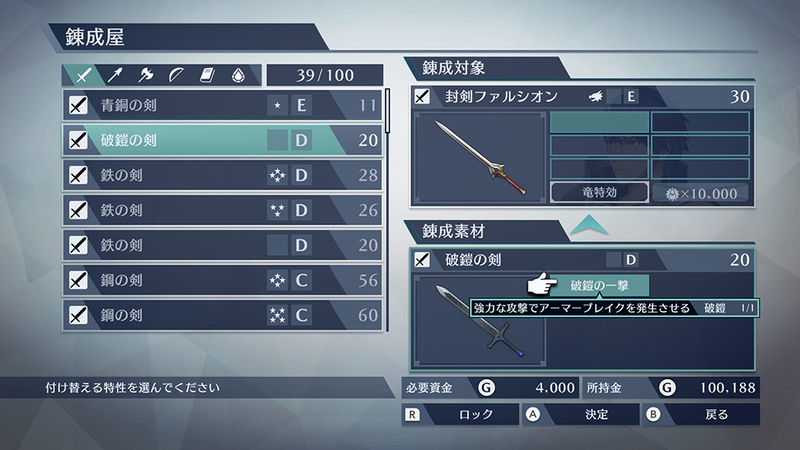 Next, a new and rather intriguing weapon attribute has been introduced, which we’ll tentatively call “Crushing Blow”. If equipped, attacks will trigger “Armour Break”, which removes the foe’s armour, revealing their… well, underwear. So just like Sophie’s skill or the Raider weapons in Fates. Except Armour Break lowers the Defence and Resistance stat, so it actually has gameplay merit. 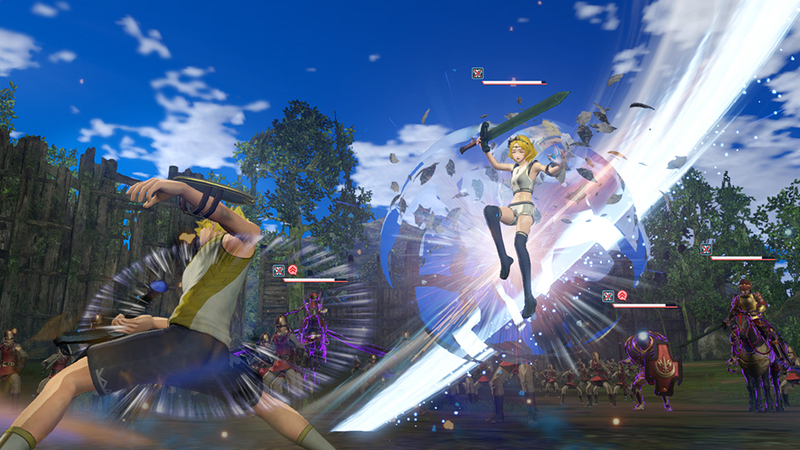 The catch is that if you’re hit by a foe’s Strong attack, your character will get inflicted by Armour Break. If that’s not enough, a new History Map “Heroic Arena” will be available to play. 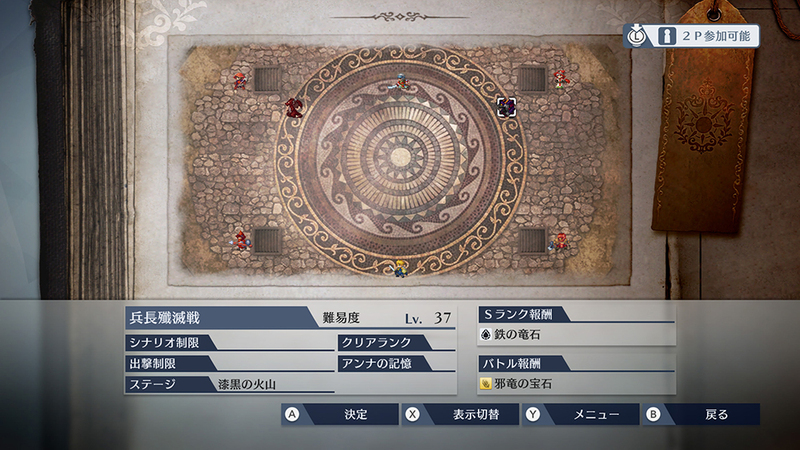 According to the description, it will focus on Rowan and Lianna as they battle against other heroes in the arena. 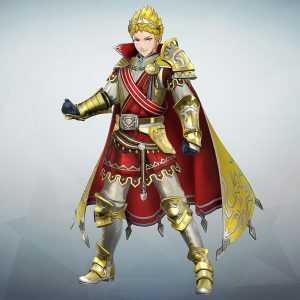 Perhaps you’ll get their new costumes by completing it? 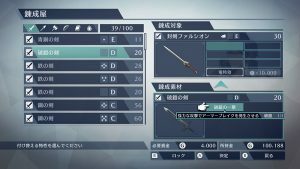 Finally, there will be some extra gameplay enhancements including the ability to sell multiple weapons at once(! ), new blessings in the Temple and various bug fixes, etc. Ahead of Fire Emblem Warriors‘s Western release on 20th October 2017, Nintendo of America has dropped a launch trailer including some neat tidbits about the upcoming DLC. That’s not all: a free Japanese voice pack will be available to download as soon as the game is released. So they delivered on their promise of dual audio after all!